Burning foot occurs when a person loses feeling in his or her feet, and that is accompanied by an intense inflammatory pain, per organicfacts.net, and, yes, the victim can definitely feel that unwanted pain. A steady feeling of fatigue and weakness pretty much across the body are felt as well, as are symptoms such as sleeplessness, vomiting, anemia, abnormal skin issues, and muscle contractions. Nothing pleasant about any of that. OK, we’re not here to throw a scare into you by tossing a worst-case scenario at you. 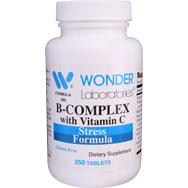 Don’t fret – vitamin B5 is plentiful in supplemental form and in many foods. 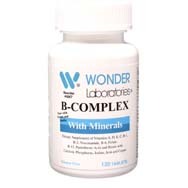 We also want to tell you about B5 as part of our ongoing series about the family of B-complex vitamins needed by the body for the basic processes of life. 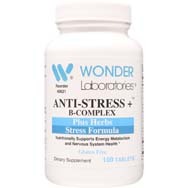 We’ve already covered vitamins B1, B2, B3, B4, B8, B10, and B11 in recent blogs on this website. 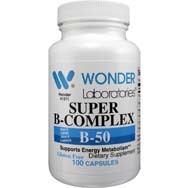 B-complex vitamins cover a whole lot of ground when it comes to health benefits, and B5 is no exception. Vitamin B5, a water-soluble vitamin, is also known as pantothenic acid, a common compound among vitamins essential to the stimulation of adrenal hormones as well as for metabolizing and synthesizing fats, proteins, carbohydrates, amino acids, and antibiotics. It can be found in blood plasma, and it acts to assist in the regulation of healthy amounts of sodium and potassium in the body, per newsmax.com. Reduce acne. As anyone familiar with acne knows, and who isn’t, this isn’t just a problem for teens. Pantothenic acid works to restore hydration in the skin, helping to make it soft and supple, and protecting the skin’s outer layer from damage caused by environmental toxins. As an anti-bacterial, it diminishes acne by “suppressing the action of inflammatory compounds and by inhibiting the progression of inflammatory reactions,” per ayurtimes.com. Produce/release energy from fat. No complaints there – sounds like something we all can benefit from. The key B5 ingredient there is coenzyme A, which is involved in converting what we eat into energy for our body, to include converting fat into energy, per healthfame.com. This makes it suitable for those looking to diet their way to lost weight. Enhance Healing of Wounds. 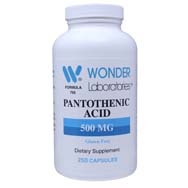 Pantothenic acid is part of the alcohol often used in topical first aid treatment for a wound, as coenzyme A works to increase cellular GSH and thus stimulate healing. Reduce levels of cholesterol and triglycerides. This is why you want to eat avocadoes, in particular, per healthfame.com. Avocadoes are rich in pantothenic acid, which works at lowering these levels. Similarly, vitamin B5 is good for lowering blood pressure by acting as a vasodilator that widens our arteries to ensure that the blood flows smoothly throughout the body, per ayurtimes.com. Delay aging signs. Note that a deficiency of B5 can also lead to a premature graying of the hair. Pantothenic acid can help prevent graying and even restore natural hair color. It also helps protect the skin from wrinkles and age spots. Increase stamina. As touched on earlier, the coenzyme A from pantothenic acid converts nutrients from consumed food into energy, which is fuel for the body to use. Additionally, pantothenic acid boosts muscle strength while helping to rebuild tissues and keep our metabolism functioning at high efficiency. Guard against inflammation. Vitamin B5 assists in diminishing inflammatory compounds in our body while also preventing inflammatory processes, all while aiding in the treatment and management of an assortment of diseases and disorders, per ayurtimes.com. Among other reported benefits of vitamin B5 are alleviating asthma, allergies, stress, anxiety, respiratory disorders, osteoarthritis, and heart problems, while boosting immunity, bolstering resistance to infections (eye infections included), and managing diabetes and skin conditions.